When it comes to selling a business, there are a lot of factors that go into the calculation of what it’s worth. At its most basic level, the value of a business to a buyer is determined by his or her opinion of the stream of future profits to come from that business and the degree of risk involved in taking it on. But there are also some other “softer” factors that affect a buyer’s opinion of your business. One of the most important factors for buyers is how organised and systemised your business is to start with. Buyers realise that one of the limiting factors for them is their own personal time. You might have a fantastic business but if the buyer thinks it will take forever to figure our how everything works they’ll be much less inclined to want it. It tells the buyer that you’re staying current with best practice in business. Cloud applications, cloud storage and cloud accounting have all been hugely successful in the past few years for one good reason – they are simply superior to the old way of doing things. It shows that your business has a culture of efficiency and values the productivity gains that cloud applications bring. If you present your business with old technology to a buyer, don’t be surprised if they expect to buy it for a bargain basement price. Buyers place a premium on their own time. They know that cloud applications are generally easy to use, are always the latest version of the application and their data is secure. That’s just one more thing they don’t have to worry about and that could mean the difference between a sale or no sale. 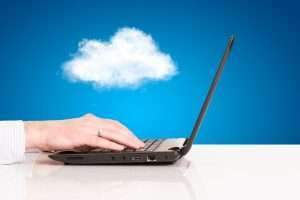 Certus Group are experts in cloud applications. We run our own business 100% in the cloud so talk to us today about how we can help you reap the benefits from cloud applications, cloud storage and cloud accounting.